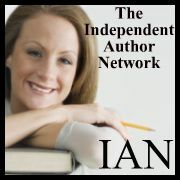 Daniel Ward & Terre Britton, co-authors of the new Science Fiction novel, “Energetics: The First Order,” are new members of The Independent Author Network—a group of like minded authors who are self published or published by a small indie press. New Sci-Fi Thriller “Energetics: The First Order,” by authors Daniel Ward and Terre Britton, is now available as a Kindle eBook on Amazon.com. SciFi Book Release—Energetics: The First Order—Grabbing the Wolf by the Ears to Heal Our Future?